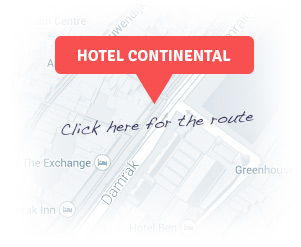 Welcome to Hotel Continental City Centre! Our excellent located hotel welcomes travellers from all around the world visiting Amsterdam. The ideal place, close to all of Amsterdam’s main attractions! It’s easy to explore everything in Amsterdam like Dam Square, Central Station and The Red Light District at your feet. We offer different room types, Premium en-suite or Budget rooms (with shared facilities), from single bedrooms to six-bedded rooms. We have a 24-hour multilingual reception staff that will warmly welcome you to our hotel and help you with your visiting plans. We look forward to welcome you soon at Hotel Continental City Centre!